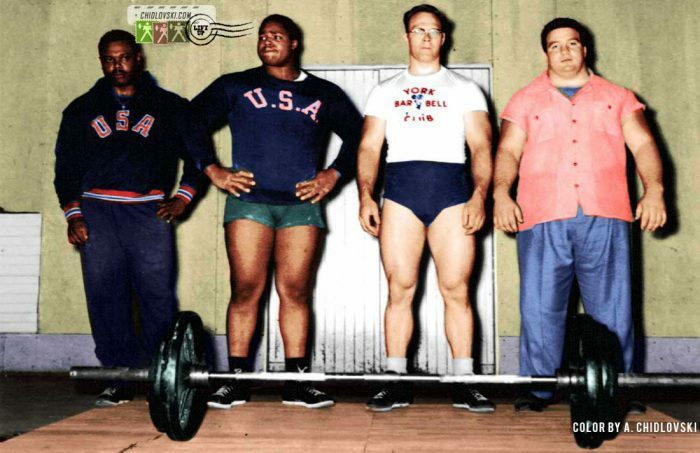 The History in Color series presents a group shot of the best heavyweights of Team USA in the 1950s. Actually, those were the best heavyweights not only of the USA but the whole world of Olympic weightlifting at the time. John Davis of NYC, New York, Jim Bradford of Washington D.C., Norbert Schemansky of Detroit, Michigan, Paul Anderson of Toccoa, Georgia. How many Olympic medals in total were earned by these legendary athletes? Next story David Rigert (USSR): Here Goes the World Record!